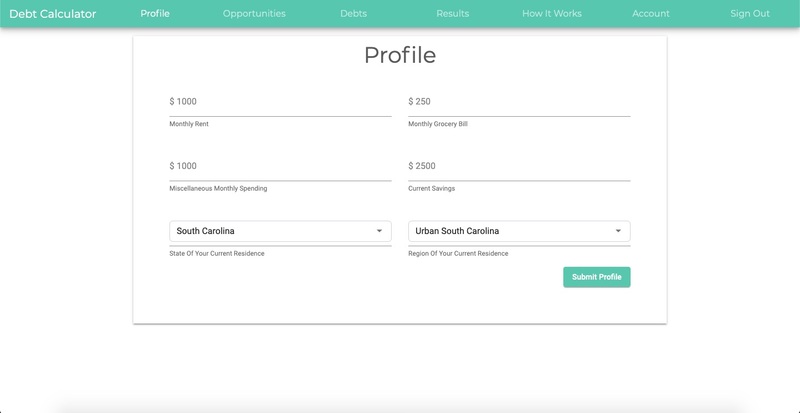 Our vision for the Debt Calculator is to create a web application that helps users make complex decisions regarding their careers. 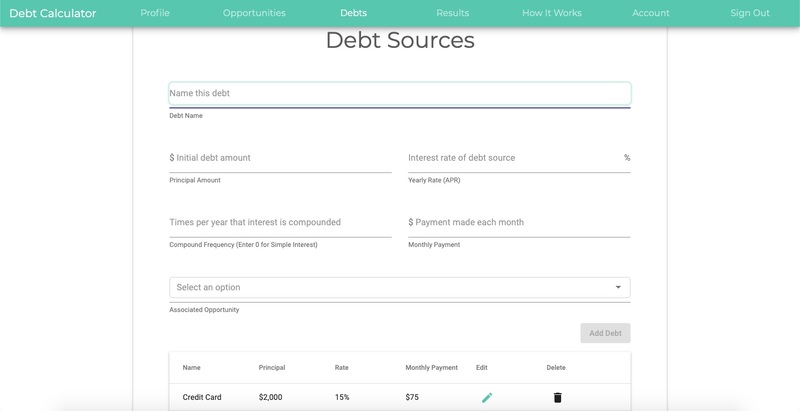 The Debt Calculator will be capable of digesting a multitude of financial data inputs and distilling them into a few tangible, fact-based analyses of the situation that the user describes. 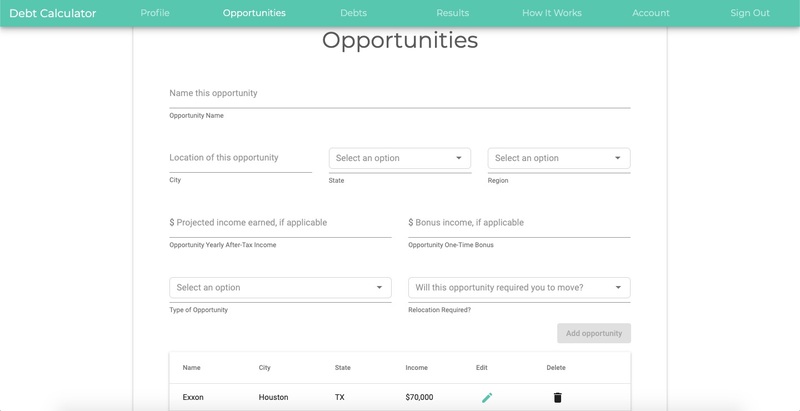 After one of our members discovered the lack of such a tool while attempting to decide between a few post-graduation options, our team realized the potential aid this could provide users with understanding quality of life, student debt affordability, and the actual purchasing power of a salary in any given city across the country. We understand that intangible feelings and excitement about job opportunities and cities cannot be quantified, but we hope that this comprehensive Debt Calculator will help users in practical ways. 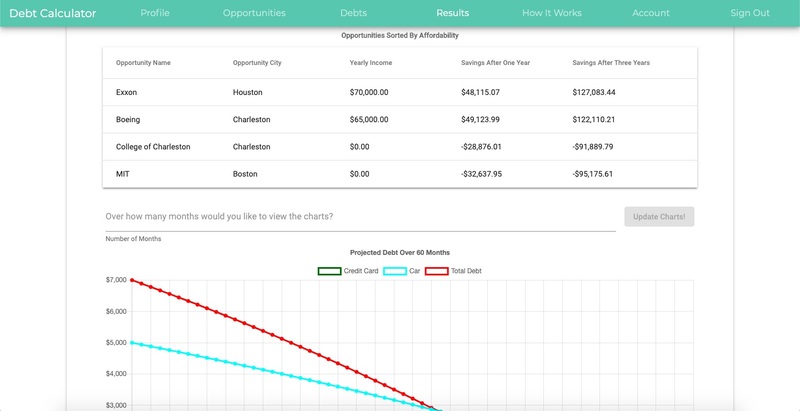 Our product will help users gain a better understanding of the financial implications of their career choices by visiting a single website that can compare the purchasing power of different salaries, predict the affordability of existing or planned debt, and recommend realistic saving strategies based on income and planned expenses. Micah Crumpton, Francisco Cuellar, Donald Landrum, Caleb Parks, Tahir Warid.